Jesse and I really want a puppy like this one. It’s no secret that Jesse and I want a dog. We obsess over dogs we see on the street, send each other photos of nice dogs we meet, and Google “cute Australian Shepherd Puppy” more often than either of us would like to admit. Our current landlord doesn’t allow for dogs, but as soon as a window of opportunity allows us to get a blue merle Aussie puppy. We’d love to take a dog on trail runs, to the park, to the beach, camping, and every other place we go. Fur Face exploring the trails at Big Sur. My parents have a more intense breed of herding dog, a Bordie Collie named Colleen (I call her Fur Face). She’s insanely intense and intelligent, with the vocabulary and mischievous stubbornness of a two-year-old child. Knowing that she needs several miles and hours of exercise a day, I feel guilty when I’m home and not outside hiking with her or running her at the park. 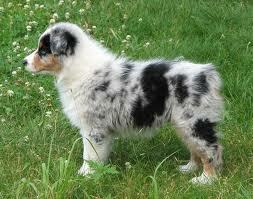 For Jesse and I, a herding dog like an Australian Shepherd, makes a lot of sense for our lifestyle. 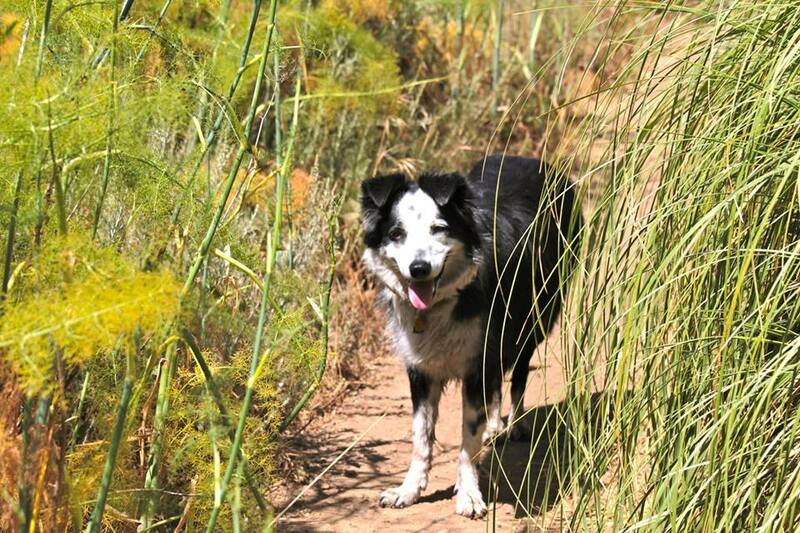 According to this article in Runner’s World, herding dogs are great for trail running, and Outside Magazine calls Aussies an excellent companion on all types of terrain. Apart from the trail running aspect, a dog is excellent motivation for getting a little extra movement during the day, especially after work when we generally feel lethargic. Jesse can take dogs into his office, and we both have the motivation and time to train the dog (and maybe even have the dog enroll in agility training, which is herding dogs’ specialty). I’d love to run with a dog in the morning for both motivation and safety. It’d be hard to change my plan to an indoor workout when a furry face is begging me to take him or her outside for playtime. Hopefully, Jesse and I will be able to add a furry companion to our home sooner rather than later. For now, we’ll continue window shopping at dog stores and asking to pet peoples’ dogs when it’s as non-creepy and socially acceptable as possible.